Moey creates exhibits and installations that find their way all across the United States and sometimes even the world, so providing our work with internet connectivity is crucial to installations with a tight deadline and those requiring long-term servicing. Unfortunately, some locations in which we install do not have an internet connection that is easily accessible. 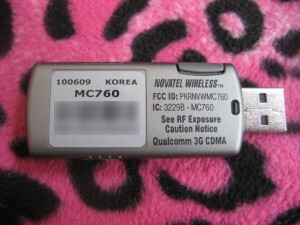 We recently have been tossing around the idea of equipping our work with “pay-as-you-go” USB 3G modems so we can get access to an installation regardless of where it is installed. It is as easy as visiting a Best Buy store, buying a modem, and purchasing a $20 voucher card for bandwidth. The activation process must be done on a Windows based computer, which wasn’t too terrible seeing as how we have a test machine in our studio, but attempting to use one of these modems on a Mac, our system of choice, left us hanging dry. 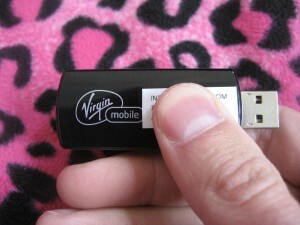 There are no instructions on the Virgin Mobile MC760 website, just lots of unanswered FAQs. There are many questions like “How do I get the MC760 to work on a Mac?” hardly answered by statements like “It works great for me!”. So, we decided to figure it out and share our own successful instructions.